Sticky Panduh Sticker Subscription October 2016 Review! Cost: $12.95/monthly + Shipping (cost varies depending on State). 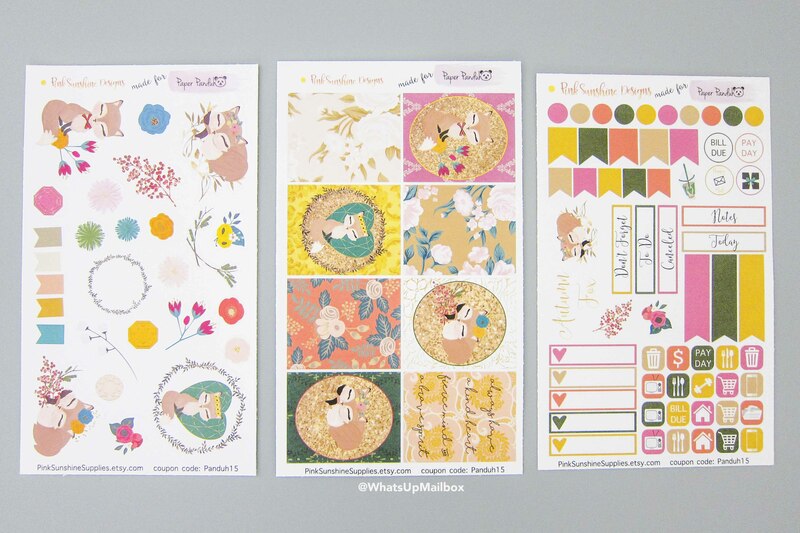 What you’ll receive: You will receive 5 sheets of planner stickers every month. Each month will have a new theme that correlates with the current months Panduh Box which is their planner subscription box you can read my Panduh Box reviews here. 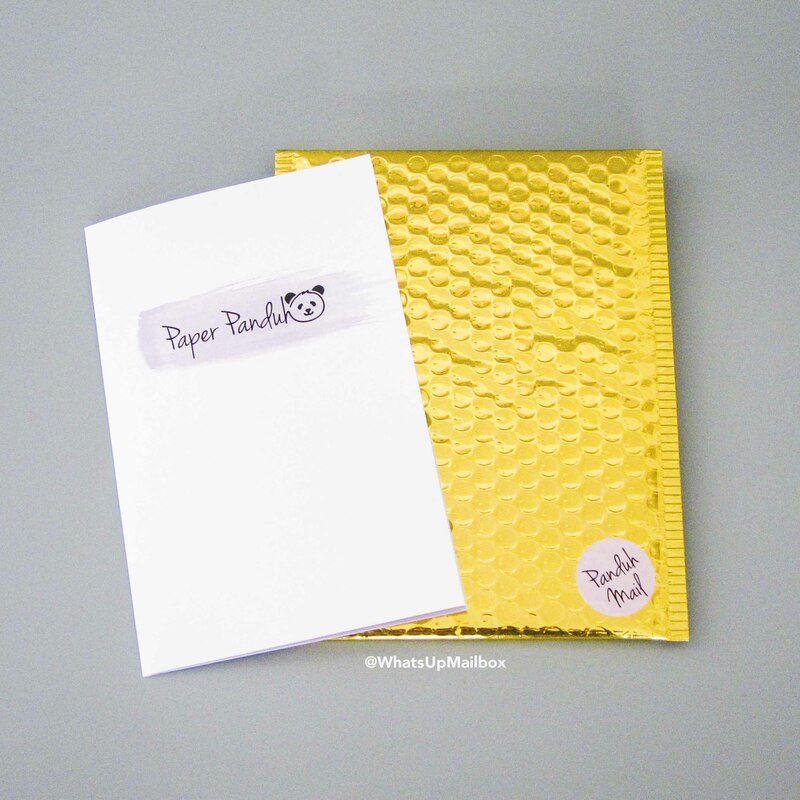 The stickers will pair nicely with your Panduh Box goodies, but is just as great by itself too! 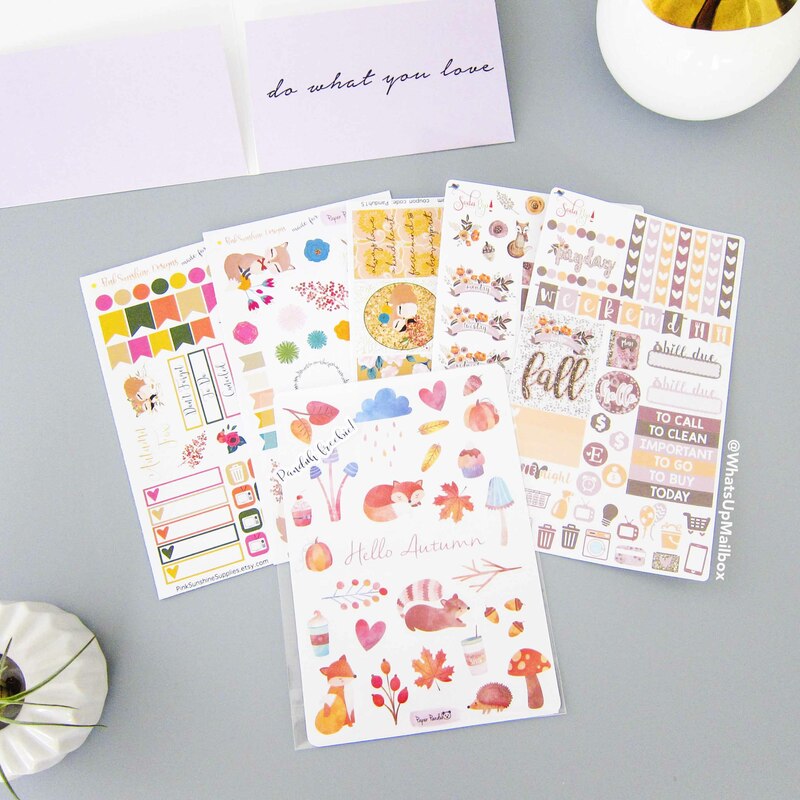 I’m a major sticker addict, especially when it comes to planner stickers. I subscribe to their regular Panduh Box subscription, so when they announced that a Sticky Panduh sticker subscription was launching, I subscribed in a heartbeat! Especially with the price, you really can’t say no! This is Sticky Panduh’s first package and I was so curious to see what it will deliver, once it arrived in my mailbox, I couldn’t help but open it right away! The stickers are housed in a Paper Panduh folder, it’s both cute, functional and it keeps the stickers in perfect shape during shipment. 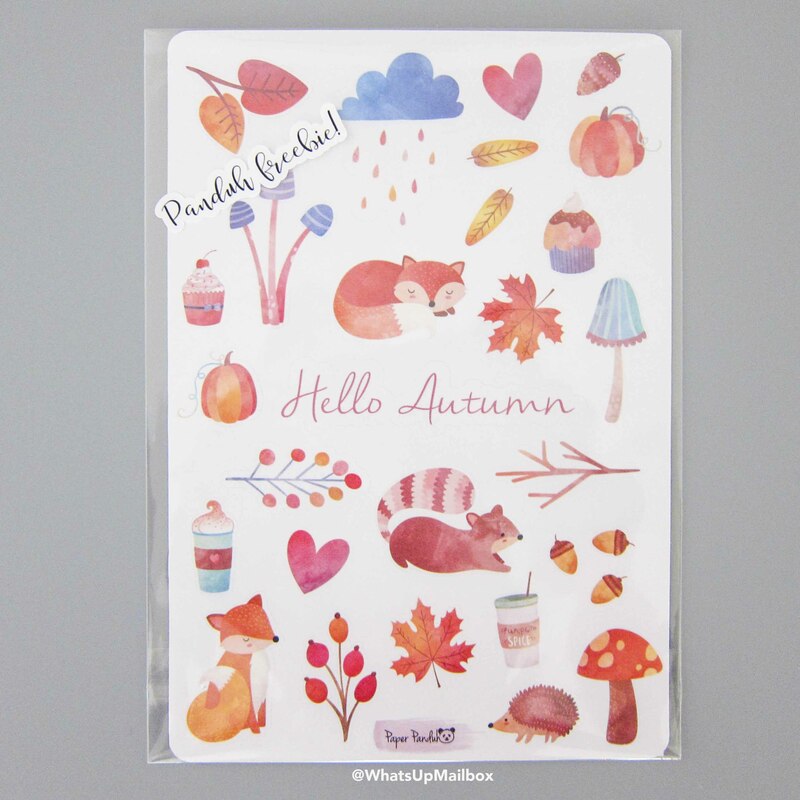 This month’s sticker theme is fall and hello fall indeed! One sheet has half boxes and deco stickers, while the other sheet has the functional stickers; checklist, a full box, icon stickers, weekend banner, etc. Both sheets are matte and non-removable. 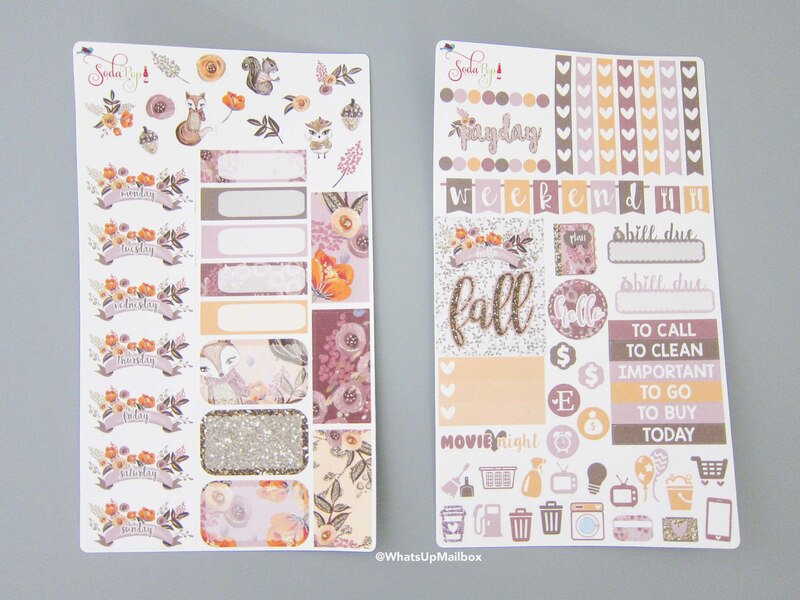 Another fall woodland theme stickers. This time there’s a whole sheet of full boxes which I love since I use the Erin Condren Lifeplanner Vertical layout which these boxes are perfect for! Another sheet is dedicated to deco stickers, while the last sheet on the right is functional stickers. All sheets are matte, except for the deco sticker sheet on the very left. Those stickers are glossy which is perfect since you won’t need to write on them. Because this is the very first Sticky Panduh package, a freebie sticker sheet is included, yay! More stickers, more fun! More fox stickers with the fall theme! This sheet is also glossy and perfect to decorate your weekly schedule. Interested in subscribing? You can go to www.panduhbox.com to start receiving their monthly sticker package!